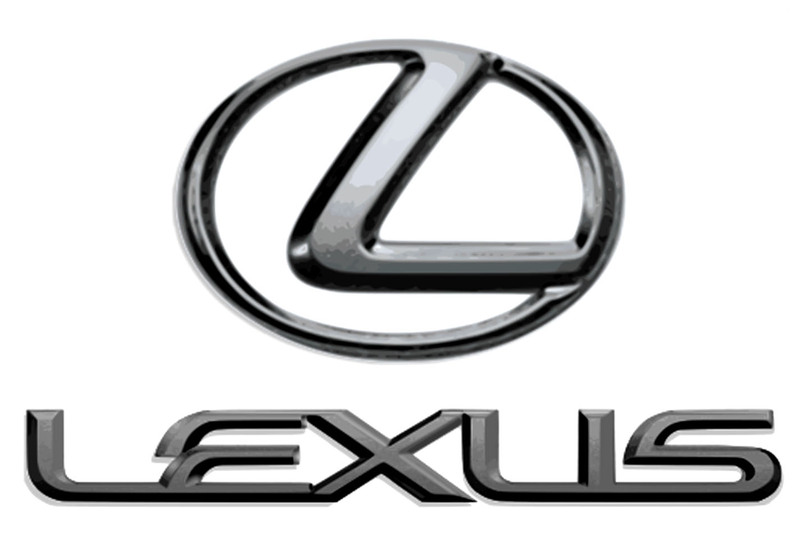 Lexus is the luxury vehicle division of Japanese automaker Toyota Motor Corporation. First introduced in 1989 in the United States, Lexus is now sold globally and has become Japan's largest-selling make of premium cars. Lexus vehicles are officially marketed in over 70 countries and territories worldwide. The Lexus marque has ranked among the ten largest Japanese global brands in market value, and the brand is a major participant in the premium automotive sector. The division's world headquarters are located in Toyota, Aichi, Japan, with major operational centers in Brussels, Belgium, and Torrance, California, United States. Lexus originated from a clandestine flagship sedan project that began in 1983. This effort developed into the original Lexus LS, which was the first vehicle to wear the Lexus marque upon its launch in 1989. In following years, Lexus added sedan, coupé, convertible, and SUV models. In 2005, a hybrid version of the RX crossover debuted, and additional hybrid models were subsequently introduced to the Lexus lineup. In 2007, Lexus launched its F marque performance division with the debut of the IS F sport sedan, followed by the LFA supercar in 2009. From the start of production, Lexus vehicles have been consistently produced in Japan, with manufacturing centered in the Chūbu and Kyūshū regions, and in particular at Toyota's Tahara, Aichi, Chūbu and Miyata, Fukuoka, Kyūshū plants. Assembly of the first Lexus built outside the country, the Ontario, Canada-produced RX 330, began in 2003. Following a corporate reorganization from 2001 to 2005, Lexus also operates its own design, engineering, and manufacturing centers, solely responsible for the division's vehicles. In 1983, Toyota chairman Eiji Toyoda summoned a secret meeting of company executives, to whom he posed the question, “Can we create a luxury vehicle to challenge the world's best?” This question prompted Toyota to embark on a top-secret project, code-named F1 (“Flagship One”). The F1 project, whose finished product was ultimately the Lexus LS 400, aimed to develop a flagship sedan that would expand Toyota’s product line, giving it a foothold in the premium segment and offering both longtime and new customers an upmarket product. The F1 project followed the success of the Toyota Supra sports car and the premium Toyota Cressida models. Both the Supra and Cressida were rear-wheel drive cars with a powerful 7M-GE/7M-GTE inline-six engine. The largest sedan Toyota built at the time was the limited-production, 1960s-vintage Toyota Century, its domestic flagship and sole V8-powered model, followed by the inline-six engined Toyota Crown premium sedan. The Century was conservatively styled for the Japanese market, and along with the Crown not slated for export. F1 designers targeted their new sedan at international markets and began development on a new V8 engine. The opportunity for Japanese manufacturers to export more expensive models had grown in the 1980s due to voluntary export restraints, negotiated by the Japanese government and U.S. trade representatives, restricting mainstream car sales. In 1986, Honda launched its Acura marque in the U.S., influencing Toyota's plans for a luxury division; the initial Acura model was an export version of the Honda Legend, itself launched in Japan in 1985 as a rival to the Toyota Crown and the Nissan Cedric/Gloria. In 1987, Nissan unveiled its plans for a premium brand, Infiniti, and revised its flagship Nissan President sedan in standard wheelbase form for export as the Infiniti Q45, which it launched in 1990. During this time, Mazda also considered developing an upscale marque, to be called Amati, but its plans did not come to fruition. Toyota researchers visited the U.S. in May 1985 to conduct focus groups and market research on luxury consumers. During that time, several F1 designers rented a home in Laguna Beach, California to observe the lifestyles and tastes of American upper class consumers. Toyota’s market research concluded that a separate brand and sales channel were needed to present its new flagship sedan, and plans were made to develop a new network of dealerships in the U.S. market. As of 2011, coordination of worldwide Lexus division product strategy involves Kazuo Ohara, managing officer, and Andrew Kirby, general manager, at the marque's global Product & Marketing Planning division. Other executives at Lexus' global headquarters, located in Toyota City, Aichi, include Kiyotaka Ise, general manager of the Lexus Development Center, and Nobuyori Kodaira, managing officer of Lexus Japan Sales & Marketing. In the U.S., Lexus operations are headed by Mark Templin, group vice president and general manager of the U.S. Lexus division, located in Southern California. In Europe, Lexus operations are headed by Andy Pfeiffenberger, vice president of Lexus Europe, located in Brussels. Companion design facilities are located in Southern California and central Japan, with the head design studio devoted entirely to Lexus models in Toyota City, Aichi. Lexus sales operations vary in structure by region. In many markets, such as the U.S., the dealership network is a distinct organization from corporate headquarters, with separately owned and operated Lexus showrooms. By contrast, in Japan all 143 dealerships in the country are owned and operated by Lexus. Several markets have a designated, third party regional distributor; for example, in the United Arab Emirates, sales operations are managed by Al-Futtaim Motors LLC, and in Costa Rica, Lexus vehicles are sold via regional distributor Purdy Motors S.A. Other officially-sanctioned regional distributors have sold Lexus models prior to the launch of, or in absence of, a dedicated dealership network. Lexus produces its highest-performance models under its F marque division. The name refers to Flagship and Fuji Speedway in Japan, whose first corner, 27R, inspired the shape of the "F" emblem. F marque models are developed by the Lexus Vehicle Performance Development Division. The first F marque model, the IS F, went on sale in 2007, followed by the LFA in 2009. A related F-Sport performance trim level and factory-sanctioned accessory line is available for standard Lexus models such as the IS 250 and IS 350. F-Sport succeeded an earlier in-house tuning effort, the TRD-based L-Tuned, which had offered performance packages on the IS and GS sedans in the early 2000s. Media reports have indicated plans for a GS F sedan and IS F coupe. Lexus production models are named alphanumerically using two-letter designations followed by three digits. The first letter indicates relative status in the Lexus model range (ranking), and the second letter refers to car body style or type (e.g. LS for 'luxury sedan'). The three digits indicate engine displacement in liters multiplied by a factor of one hundred (e.g. 350 for a 3.5 L engine). A space is used between the letters and numbers. The same letter may be used differently depending on the model; 'S' can refer to 'sedan' or 'sport' (e.g. in LS and SC), while 'X' refers to 'luxury utility vehicle' or SUV. On hybrids, the three digits refer to the combined gasoline-electric output. For certain models, a lower case letter placed after the alphanumeric designation indicates powerplant type ('h' for hybrid, 'd' for diesel), while capital letter(s) placed at the end indicates a class subtype (e.g. 'L' for long-wheelbase, 'C' for coupe, 'AWD' for all-wheel drive). On F marque models, the two-letter designation and the letter 'F' are used with no numbers or hyphens. Many Lexus vehicles are manufactured in Toyota's flagship Tahara plant, a highly sophisticated, computerized manufacturing plant in Japan. Lexus production techniques include methods and standards of quality control that differ from Toyota models. At the Tahara plant, separate assembly lines were developed for Lexus vehicles, along with new molds and specialized manufacturing equipment. Welding processes, body panel fit tolerances, and paint quality requirements are more stringent. Lexus plant workers, typically veteran technicians, are identified via repeated performance evaluations and ranked according to skill grade, with limited applicants accepted. The highest level takumi (Japanese for "artisan") engineers are responsible for maintaining production standards at key points in the assembly process, such as testing engine performance. Production vehicles are given visual inspections for flaws, individually test-driven at high speeds, and subjected to vibration tests. The North American–market RX 350 (since the 2004 model year) is produced in the city of Cambridge, in Ontario, Canada, which is the first Lexus production site located outside of Japan. In addition to the Tahara factory, Lexus vehicles have been produced at the Miyata plant (Toyota Motor Kyushu) in Miyawaka, Fukuoka, Higashi Fuji plant (Kanto Auto Works) in Susono, Shizuoka, and Sanage plant (Toyota Boshoku; Araco) in Toyota City, Aichi. The Kokura plant in Kitakyūshū, Fukuoka, which opened in 2008, is a dedicated hybrid production site for Lexus models such as the gasoline-electric RX. Front-wheel drive cars, such as the ES and HS, are produced in the Fukuoka Prefecture. Through the late 2000s, most sedan and SUV production has occurred in Japan at the Tahara plant in Aichi and Miyata plant in Fukuoka. In 2005, J.D. Power and Associates bestowed its Platinum award for worldwide plant quality on the Tahara plant for the fourth consecutive year, stating that it has the fewest defects of any manufacturing plant in the world. In 2006, J.D. Power named the Miyata plant, then the site of ES and IS model production, as its recipient of the Platinum award for worldwide plant quality, and in 2009 the Higashi Fuji plant, site of SC production, received the same recognition. J.D. Power has named Lexus the most reliable brand in the U.S. fourteen times since 1995, according to its Vehicle Dependability Survey of over 53,000 vehicle owners and the first three years of ownership. In the 2000s, Consumer Reports also named Lexus among the top five most reliable brands in its Annual Car Reliability Surveys of over one million vehicles across the U.S.